Several years ago, my sister-in-law Becky was in Madison, Wisconsin as a witness in a trial for the company she then worked for. Between trial sessions, she avidly read the book “Meditation as Medicine: Activate the Power of Your Natural Healing” by Dharma Singh Khalsa, M.D. and Cameraon Stauth. Becky found the book to be a fascinating read about the mind/body connection and the promotion of healing through what the author calls “Medical Meditation.” It is Dr. Khalsa’s belief, backed by the research he presents to the reader, that Medical Meditation is a more powerful tool than regular meditation in healing because of the practitioner’s combined use of meditation, postures, mudras, mantras, and breath work – all explained thoroughly in the book. While boarding the plane to go home to Michigan, Becky noticed a person’s feet approximately 10 people in front of her in the aisle. They were covered by nothing more than socks and sandals. This seemed a bit odd to her, considering that the temperature outside was reaching a scant 16 degrees Fahrenheit. She moved up with her gaze and saw that the person wearing the sandals had a shaved head and was wearing a robe-type garment of red, orange, and gold and that his arm on one side was bare. Ah, she thought to herself, This must be a Buddhist monk. He isn’t freezing to death, so he must surely know something about the mind/body connection! By now, my sister-in-law was very excited and made a vow to herself to talk to this person about some of the concepts about which she was reading as well as get his point of view on how Medical Meditation specifically affects the healing response. Becky has been interested for some time now in the mind/body connection, in part because of an on-going health challenge that a loved one in her life has been facing. As she made her way up the aisle, she envisioned herself asking the person seated next to the monk if she could exchange seats to be able to discuss with him all that was on her mind. But when she got to her own seat, Becky got a pleasant surprise. Who should be sitting directly in her assigned seat but the same monk she had hoped to get a chance to talk with! She didn’t dare ask him to move, and just took the seat next to him. At this point, the synchronicities just keep piling up, because he turned out to be no ordinary Buddhist monk. He was one, Matthieu Ricard, French interpreter for the Dalai Lama and a recognized expert on the mind/body connection in his own right. He had been in Madison at the invitation of the University of Wisconsin as part of a research experiment to measure the effects of meditation and prayer on healing. He told Becky that westerners do not fully understand the importance of the mind/body connection that eastern cultures take for granted. Of specific importance, from his perspective, are the Placebo Effect and the positive effect of prayer on healing. So, did Becky find out that a cutting-edge practice like Medical Meditation has the power – when practiced faithfully – to heal all of our diseases all of the time? Obviously, not. While Medical Meditation does activate the healing force to a great degree and has been known to heal and reverse physical disease in many documented cases, we each have a destiny and personal path to walk in this life. Also, as Dr. Khalsa also explains in his book, healing can happen on many levels besides the physical. 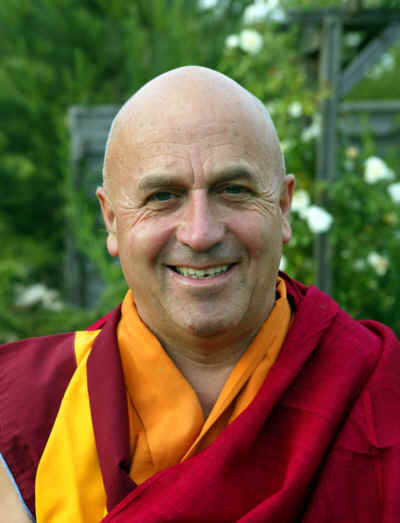 In case you are interested in finding out more information about Matthieu Ricard and the Dalai Lama’s affiliation with the “Mind and Life Institute,” an organization that continues to promote the findings of the effects of the mind and spirit on healing and wholeness, Mr. Ricard gave Becky the link to the institute’s website. It is www.mindandlife.org. The above information adds another thread to this already rich tapestry, as I bring my daughter Julie in to the scenario. Julie does volunteer grant writing for an organization called Mindfulness Schools that offers mindfulness meditation training to elementary school children in the Oakland, California schools. As I was telling her about her Aunt Becky’s synchronicity with Matthieu Ricard on the plane in Wisconsin and his affiliation with the Mind and Life Institute, I discovered that Julie, too, had heard – just recently – about the same organization. It turns out that someone at Mindfulness Schools had commented to her on the research being done at both the Mind and Life Institute and the University of Wisconsin on the positive physical, mental, and emotional effects of mindfulness meditation on children!